Up until now, I hadn't ventured into theBalm's offerings bar their best selling Mary Lou Manizer Highlighter Powder and having wanted to add more Balm products into the mix, theBalm TimeBalm Foundation is a welcomed addition to my makeup collection. theBalm TimeBalm Foundation is a cream foundation, encased in face paint like pot, accompanied by a rather naff flat sponge applicator, which admittedly isn't my favourite. But packaging woes aside, this foundation is highly pigmented, long lasting and leaves my complexion looking flawless. On first application, I wasn't so sure, but after 5 minutes it had melted into my skin leaving a very polished, pore minimising, satin finish. You only need a small amount and I find it works well with my Real Techniques Complexion Rescue Sponge and the added moisturise helps the foundation blend out beautifully. The coverage is uh-mazing, concealing redness and imperfections very well. Unfortunately the texture is not suitable for oily skin types and a little powder is required in my t-zone otherwise things get a little greasy during the day. Although due a packaging upgrade, I highly rate theBalm TimeBalm Foundation £22.00. I'm now eager to try their concealer and I might even pick up another shade as a cream contour! 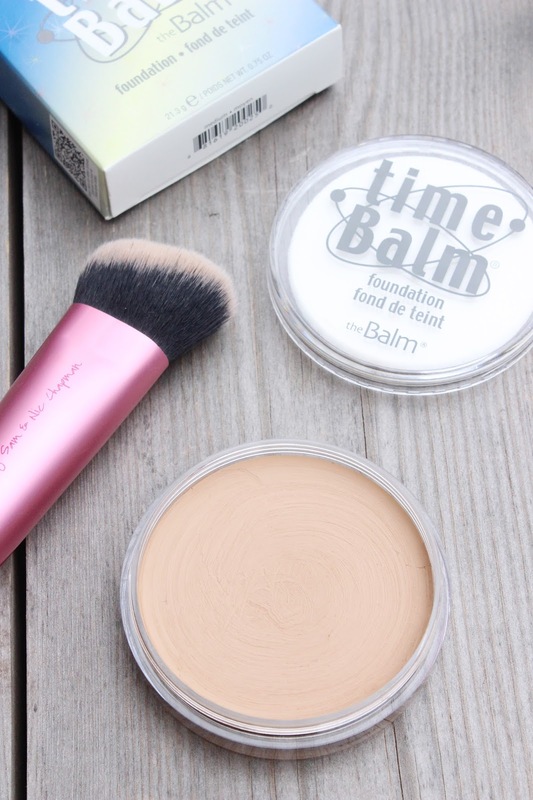 Have you tried theBalm TimeBalm Foundation?